The Perseus Foundation is a non-profit organization with a focus on presenting unbiased, scientific information about coping with cancer in animal companions. 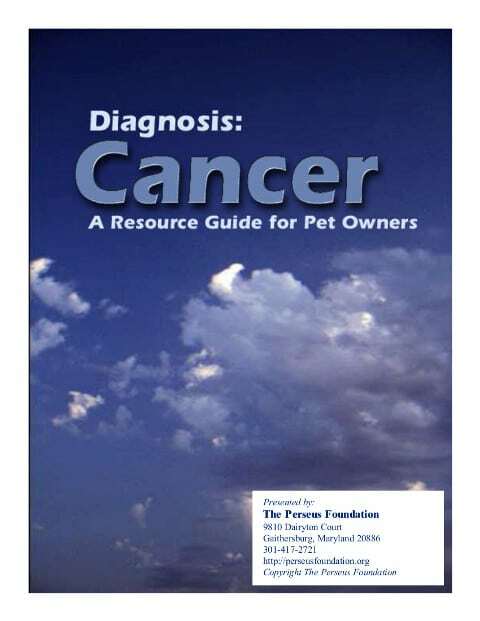 This 102-page document takes pawrents through a general overview of what cancer is, how it behaves, how the most common types are treated both holistically and conventionally, what costs are involved, and what pawrents can expect. Did we say that this book is free?